California’s 25,000 square miles of desert support a unique population of plants and wildlife that are adapted to the harsh conditions of limited rainfall, scorching summer temperatures, and cold winter temperatures. Loss of habitat due to human-caused impacts has resulted in dwindling populations of plants and wildlife that are only found in the California deserts. Impacts on the desert environment can be visible for years and recovery of the fragile desert soils and the associated plants and wildlife can take a very long time. Off-highway vehicle use, mining, agriculture, fire, development, and various other uses or impacts have resulted in disturbances to desert habitat that may never recover without the implementation of habitat restoration. Habitat restoration in the desert can accelerate recovery of the desert vegetation, reclaim degraded lands, and reduce habitat fragmentation. 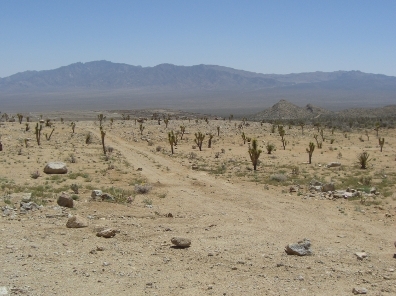 Understanding the unique soil conditions and microhabitats, as well as utilizing the appropriate plant species, are paramount to a successful desert restoration project. In addition, limiting future impacts and infestation by non-native plant species encourages natural colonization by native plant and wildlife species and promotes the return of a healthy, functioning ecosystem. With the ever expanding human population in California and the push to build green energy projects (wind and solar), the deserts have become the target for thousands of acres of future development projects. Well-planned projects, protection of listed and sensitive species of plants and wildlife, and restoration of disturbed desert habitat can all contribute to a balance between development and habitat preservation. This balance will ensure that future generations will be able to appreciate the unique resources in the desert environment. ECORP’s team of regulatory specialists, biologist, archeologists, restoration specialists, land use planners, and California Environmental Quality Act (CEQA)/National Environmental Policy Act (NEPA) specialists provide a number of services that help guide clients through the entitlement process, project construction, and habitat restoration. ECORP has extensive experience in the planning, implementation, and monitoring of desert restoration projects and they understand the delicate balance of nature in the California deserts. As a result, ECORP has been very successful with desert restoration projects.